These tried and true events have been around for a long time because sometimes you just can’t improve upon a classic! Teams have an amazing time chasing down locations where they acquire points for performing physical, mental and creative challenges. 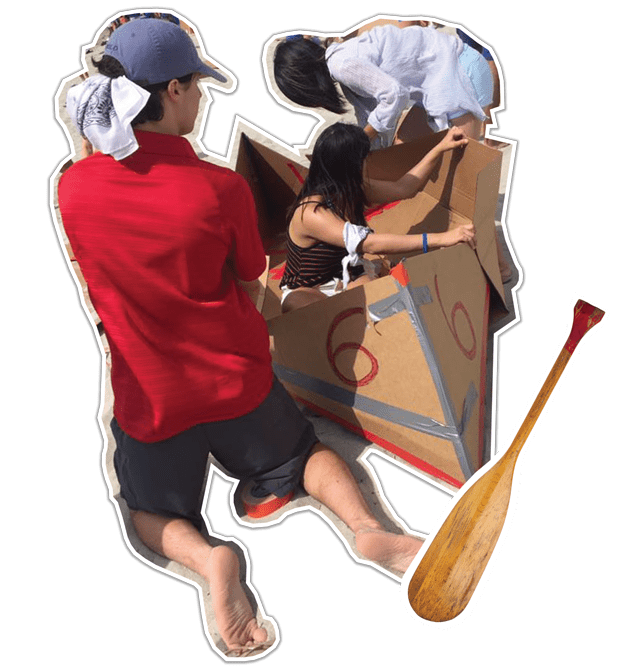 This versatile activity, designed with the hit TV show Amazing Race in mind, is highly customizable. Great for product launches and other events where you want to highlight company information or reinforce meeting content. This team building event takes Minute To Win It to the next level and puts a whole different twist on it. Teams participate in a series of short physical challenges using unexpected items. Teams have a certain amount of time to practice each game but points only accrue when it’s crunch time! “Whatever floats your boat” are good words to live by. 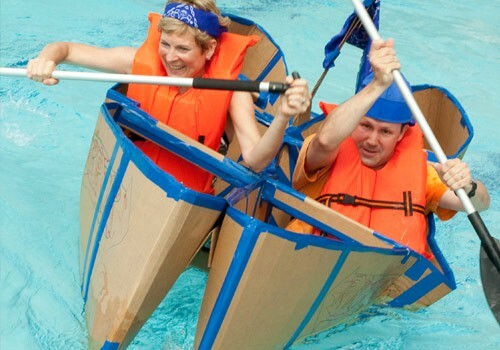 But, in this team building activity, they are essential, as teams must build a boat capable of holding two of their teammates in a race against all other teams. The build a boat materials? Nothing more than cardboard and duct tape! These are not just trivial matters. Our unusual game shows incorporate a wide range of challenges including music, visual puzzles and physical games as well. And, rather than just a few participants on stage at a time, everyone participates in our game shows with all teams facing off against one another! We can also put a unique spin on your favorite game show – whether it’s Jeopardy, Family Feud, The Price Is Right and more – to get your message across in a fun, but familiar way. Tribes strive to do the best they can in a series of creative, physical and mental challenges in this event built off the popularity of the TV show Survivor. Who will surstrive and who will be thrown off the island at the end of the activity? 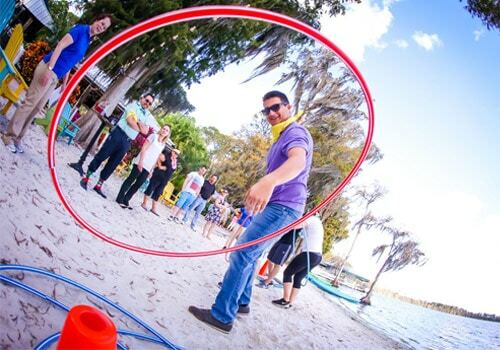 Only time will tell in this competitive team building activity with a tropical twist! It’s time for your team to strive for the gold in a series of relays appropriate for those with a coach or a couch potato mentality! Whether they experience the thrill of victory, or the agony of defeat, all walk away a stronger team! And, if a sports theme doesn’t “play” well with you, we can incorporate other themes, such as beach relays, superhero games and more. Plan Your Team Building Event Today! Crunch Time – The Wildly Different team did an awesome job in planning and executing a very successful and well-received team building event — it was definitely what we needed and had so much fun!! – Joy K., Gillead Sciences. Amazing Chase – “I want to thank you for the AMAZING job you and your team did in making our Team Building event a huge success. From the kickoff, during the challenges and through to the scoring, your team was fantastic. Every one of your team members was organized, friendly and so much fun -our group thoroughly enjoyed themselves. We were all talking during dinner last night and the stories of how much fun we had were hysterical. 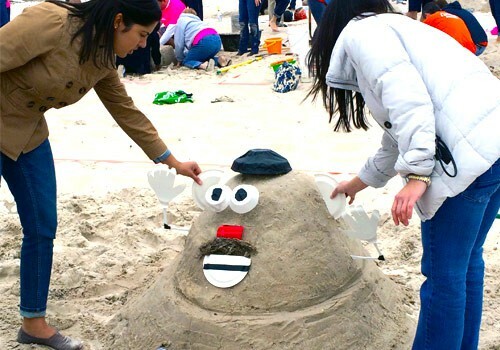 Our client wanted a team building event that would encourage her interns to literally think outside the box and achieve the impossible – not just during this event but all year long! Teams had only one hour to discuss their plan, build their boat and create a team flag that embodied their team spirit. Although some boats sank, everyone’s spirits were raised as they realized that everyone was in the same boat – so to speak – and by working together, they could enjoy smooth sailing! Ready to Plan A Classic Team Building Event? Contact Us Today.